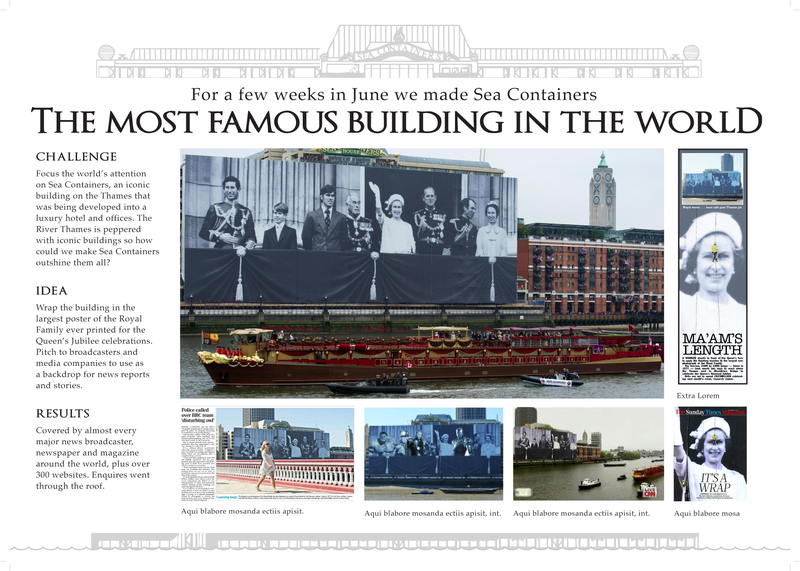 In February we were asked to create an attention grabbing concept for Sea Containers, a 1970’s office building on London’s South Bank. Owners of the building wished to celebrate the Jubilee and create stand-out for their redevelopment project as Sea Containers is transformed into Europe’s first Mondrian Hotel and 300,000 square feet of luxury offices available to rent. The objective was to capture the attention of ABC1 potential future guests and tenants. In the highly competitive world of commercial real estate, only one idea would turn heads and get this audience talking. 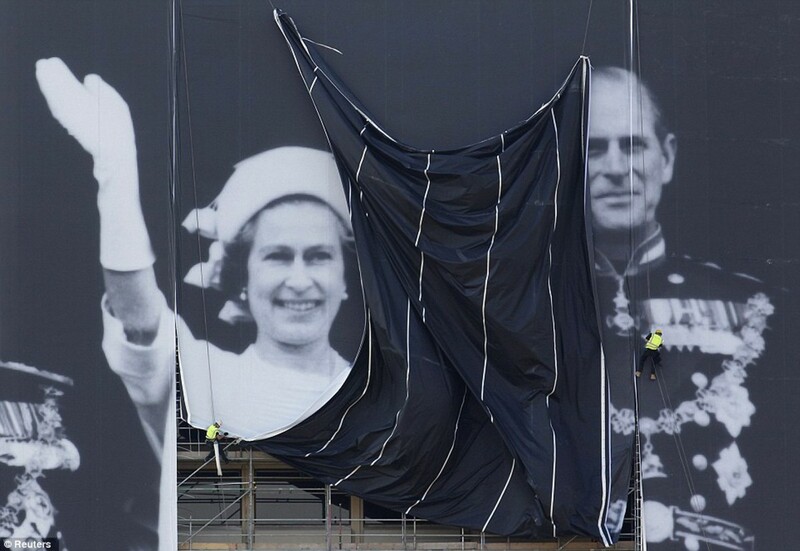 Golden Goose PR had the idea to blow up a 1977 Silver Jubilee photo of the royal family waving from the balcony at Buckingham Palace and created a 100m wide wrap. 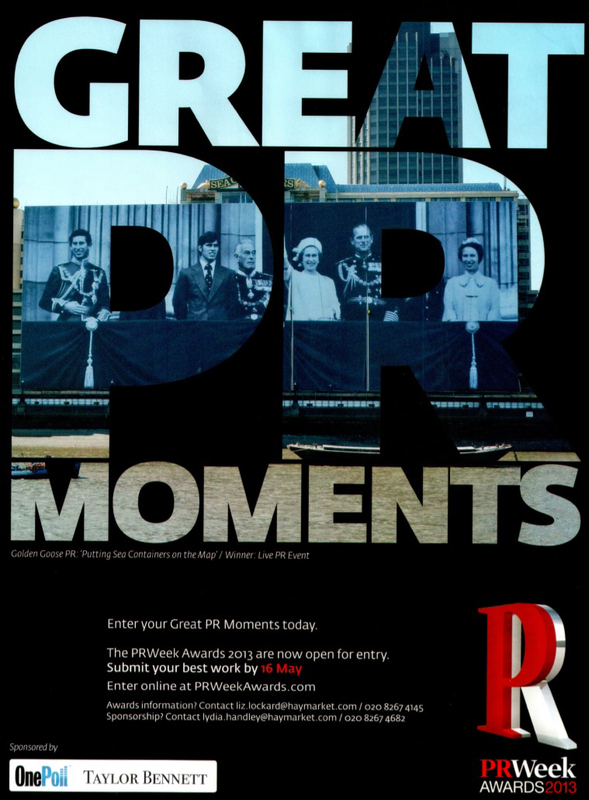 Our national photocall to reveal the Queen as the final panel of the wrap was dropped was attended by Sky, Reuters, Getty, Rex, Alpha, AP, National News, CNBC, the Telegraph, the Evening Standard and covered in The Guardian, The Sun, The Telegraph, The Independent and the cover of the FT. BBC London broadcast live from HMS President, with Sea Containers in the background on the day of the reveal and we invited BBC London weather to use the building as a backdrop on two consecutive Fridays before the Jubilee. Everyone watching the BBC’s live coverage of the Jubilee saw Sea Containers or heard it name-checked by the reporters as the Royal Barge passed by. The same footage has been seen globally, as far as Canada, Japan and the USA. With over 1,300 global online pieces of coverage and over 47,000 page impressions for our time lapse movie of the wrap being assembled, we know that our message reached a lot of people. Sea Containers through the wrap. 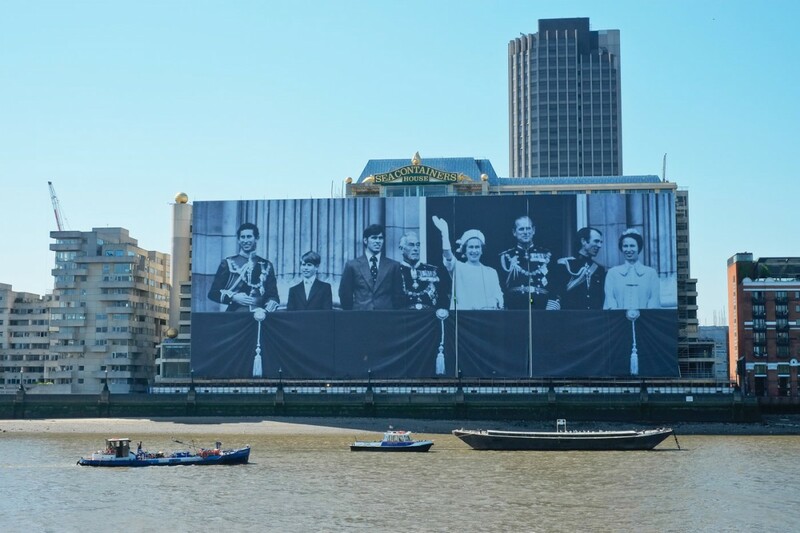 48% of people living or working in London say Sea Containers became a cultural icon over the Jubilee period. 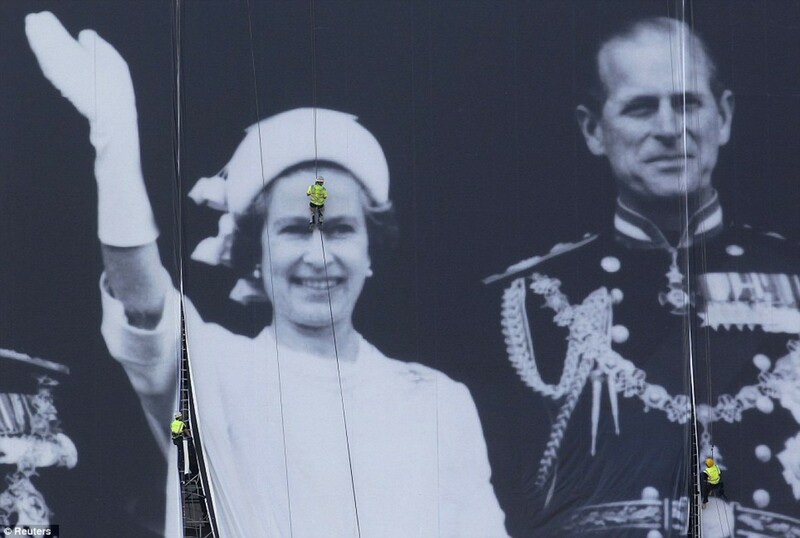 Over one in 10 (11.5%) learned it is being transformed into a luxury hotel. and offices, 22% are interested to know more about Sea Containers. 30% live/work in London and 18% are business decision makers. Sea Containers has confirmed that enquiries and interest in the building rose by over 200% through the campaign.